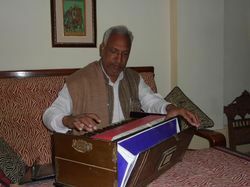 Sitaram, your teacher, a 47 year old local of Nawalgarh, follows the musical traditions of his family. Initiated by his father at young age, he did a degree in vocal music from Maharaja Sawai Man Singh collage of Music, Jaipur in 1986. He plays Tanpura, Tabla and Harmonium. Free trial class and we provide 8 class in a month. Tabla Classes at Marvelous Music Academy by Professional instructor. 8 classes per month /1hr each. The Tabla is a drum pair very popular in India. The Tabla is an intrinsic part of Hindustani Music. It has also gained a permanent position in most of Indian film and folk music. We teach the classical style of Tabla playing at WeGotGuru. Once this style is mastered then it gets easy to perform at all platforms. Rhythm is available at the required tempo / sruthi for $2 per item. You might be the one with the bent towards the beats of Tabla. Tabla is an integral part of Classical Music. 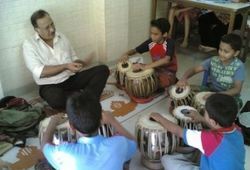 Here you get an opportunity to learn Tabla from our faculty whether you are on beginner level or at and advanced level. We are providing the best Guitar Classes in Rohini. Learn tabla from experienced faculty.